Working with the government allows business owners the opportunity to make money while serving their country. There are a number of benefits of doing business with the government. However, not many people even know that GSA contracts exist, let alone what they are. What is a GSA contract? What do GSA contracts mean for business owners involved? Keep reading below to learn all about these government contracts. The GSA stands for General Services Administration. The GSA is an independent United States government agency. The agency helps provide the resources to facilitate day-to-day operations at government offices. They do this by organizing GSA contracts with American vendors, most of which are small businesses, like yours. These contracts may be better for business than if you were to pursue online business certificate programs. However, this is of little help if you do not understand these vendor contracts. A GSA contract is an agreement that the General Services Administration enters into with small businesses. These agreements are sometimes referred to as a GSA Schedule, Multiple Award Schedules or Federal Supply Schedule contracts. Regardless of what you call them, these contracts all do the same thing. They are indefinite delivery, indefinite quantity, or IDIQ, agreements that can be used by all different government agencies. These GSA Schedules allow for the government to get products at the lowest prices for the best value, with less lead time, added flexibility and control of procurement. There are a number of different GSA Schedules that are used to identify the types of businesses these contracts exist with. These schedule classifications include everything from publication media, 76, to sports equipment and supplies, 78. They also include facilities maintenance and management, 03FAC, as well as office, imaging and document solutions, 36. If a business sells a3 printers, for example, they would be classified under the schedule of 36. You can see a list of all the GSA Schedules on the GSA eLibrary website. What Are The Benefits Of GSA Contracts? Federal Supply Schedule contracts are not right for every business. However, they do provide some advantages to business owners like you. Having a contract with the federal government provides a useful marketing tool for your business. It lends credibility to your organization. These contracts also project an image of patriotism and social responsibility. 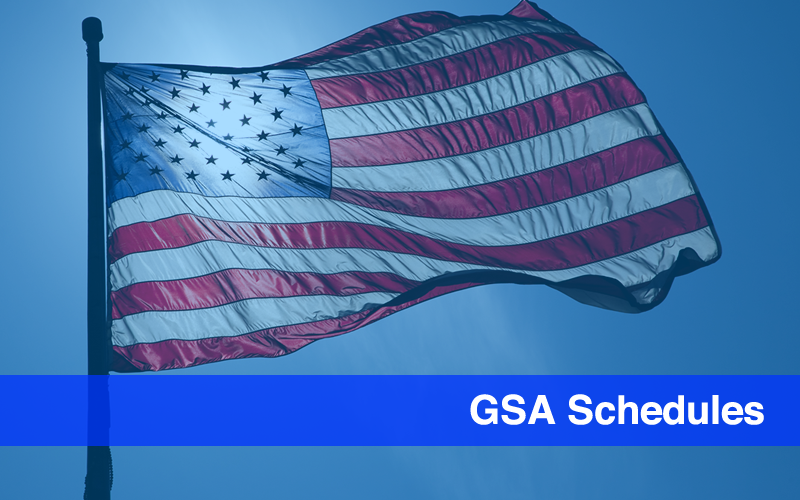 If you want to serve your country in the best way you know how, while also benefiting from steady business and marketing benefits, consider making a GSA Schedule proposal. But first, you need to make sure your business qualifies. You must first determine whether or not you meet the qualifications for GSA contracts. In order to get a GSA Schedule contract, your business must evidence financial stability and have been in business at least two years. You will also have to demonstrate past performance, and your products have to be commercially available and compliant with the Trade Agreements Act. If your business meets these requirements, you may want to consider getting GSA approved to get cash from the US government. If you are a small business owner, getting on the GSA list may be something you want to pursue. You now know what GSA contracts are. But, now you have to consider whether or not you want to obtain a GSA number. Use this post as a guide to help you determine whether or not getting a GSA contract is the right decision for your business.